Flight Dynamics takes a new approach to the science and mathematics of aircraft flight, unifying principles of aeronautics with contemporary systems analysis. While presenting traditional material that is critical to understanding aircraft motions, it does so in the context of modern computational tools and multivariable methods. 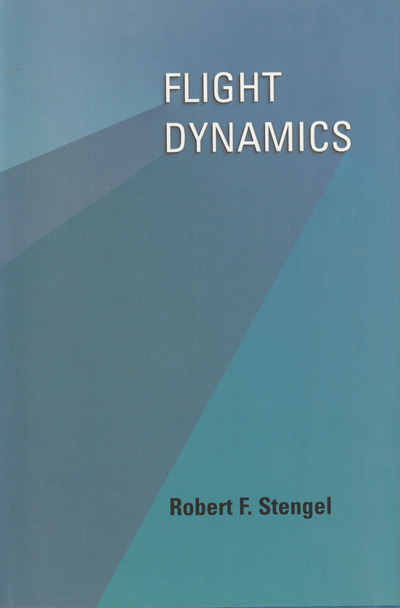 Robert Stengel devotes particular attention to models and techniques that are appropriate for analysis, simulation, evaluation of flying qualities, and control system design. He establishes bridges to classical analysis and results, and explores new territory that was treated only inferentially in earlier books. This book combines a highly accessible style of presentation with contents that will appeal to graduate students and to professionals already familiar with basic flight dynamics. By using common notation and not assuming a strong background in aeronautics, Flight Dynamics will engage a wide variety of readers. Introductions to aerodynamics, propulsion, structures, flying qualities, flight control, and the atmospheric and gravitational environment accompany the development of the aircraft's dynamic equations. Robert F. Stengel is Professor and former Associate Dean of Engineering and Applied Science at Princeton University, where he also directs the Program on Robotics and Intelligent Systems. He is the author of Optimal Control and Estimation (Dover, 1994). He was a principal designer of the Apollo Lunar Module manual control logic. Princeton University Press | Cloth | November 2004 | $99.50 / £ 65.00 | ISBN: 0-691-11407-2 | 845 pages. page 8, "... currently owned and operated by Flight Level Engineering in cooperation with Embry-Riddle Aeronautical University." reference: Croft, J., "Feeling FBW," Aviation Week & Space Technology, May 15-28, 2017, pp. 44-46.
page 184-187: Replace discussion of quaternions with material at Quaternions. Aircraft Flight Dynamics, MAE 331, Princeton University. Lecture Slides for Aircraft Flight Dynamics, MAE 331, Princeton University. key words: aircraft flight dynamics, flight mechanics, stability and control, short period, phugoid, Dutch roll, roll, spiral, aeronautical case histories, aircraft performance, longitudinal dynamics, lateral-directional dynamics, coupled motions, inertial coupling, high angle of attack, aeroelasticity, nonlinear equations of motion, flight simulation, flight vehicles, earth's atmosphere. Copyright 2018 (c) by Robert F. Stengel. All rights reserved.